Maggie's Notebook: Mt. Sinai Hospital Organ Trafficking? Albert Einstein Medical College Organ Trafficking? Mt. Sinai Hospital Organ Trafficking? Albert Einstein Medical College Organ Trafficking? According to Nancy Scheper-Hughes a willing participant in an illegal operation to sell his own kidney documented his story on video as it happened at Mt. Sinai Hospital in New York City. The kidney seller says "I met a broker in Brooklyn and I sold my kidney." Speculations are that Rabbi Levy-Izhak (Isaac) Rosenbaum, arrested in a human organ trafficking FBI sting this week, may be involved. Albert Einstein Medical College in New York City is also implicated. Scheper-Hughes says she has a copy of that video. She tried to interest 60 Minutes in it, but the video quality is poor. Scheper-Hughes says she took the video to the New York Academy of Sciences in September 2008. She showed a portion of it, and said the viewers could not believe it, but they recognized the doctors and the hospital. Professor Levy-Izhak (Isaac) Rosenbaum of Brooklyn is believed to be associated with some of these claims from Scheper-Hughes. Read more about Rosenbaum's arrest for human organ trafficking and Scheper-Hughes charges against him. Another hospital mentioned in the audio below is Albert Einstein Medical College. Scheper-Hughes says she met with an agent in Philadelphia who was also a Rabbi. He didn't seem to think Rabbi Isaac Rosenbaum's actions were illegal - "Isaac is a good man," and is probably making some money on the side. I have the charts of a dozen Israelis who were illegally operated on in this wonderful academic hospital, in your unit, using a broker in New York City and using donors they had never met, and they lied and said they were relatives, sometimes they didn't speak the same language. What were you doing there? She says she was escorted out of the meeting, she had the name of the doctors and one of them was sitting at the table. Professor Scheper-Hughes says the broker paid more for the kidney of a healthy college student than for that of a not-so healthy person. More to come on Mt. 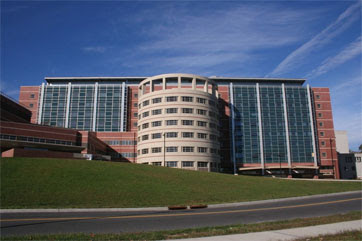 Sinai and Albert Einstein hospitals. Below is the audio between Brian Lehrer and Scheper-Hughes from WNYC. Click the arrow on the left to begin play.